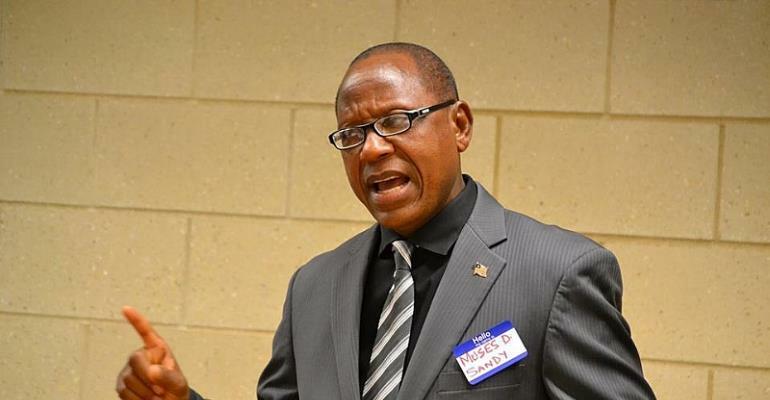 New Castle, Delaware-The Association of Liberian Journalists in the Americas (ALJA) is condemning in the strongest term the Liberian Senate for the controversial impeachment of Associate Justice Kabineh Mohammed Ja'neh of the Supreme Court of Liberia. ALJA says the Senate's action has cast a shadow on its credibility and deeply eroded the public's trust and confidence in the country's judicial system because of the shady manner in which some members of that august body conducted themselves in the recently ended professed impeachment trial of former Associate Justice Ja'neh. The Association in a press release issued on April 2, 2019, says what transpired at the Liberian Senate for the past one month and consummated on March 29, 2019, under the guise of an impeachment process was a charade orchestrated by the ruling Coalition for Democratic Change (CDC) government to unseat the former Associate Justice from the Supreme Court for reasons best known to the administration. ALJA says the stage-managed impeachment hearing was an audacious attack on Liberia's nascent democracy and the rule of law. The Association noted the outcome of the trial has dampened the image, trust, credibility, and reliability of the Liberia National Legislature in the performance of its sacred duties at home and abroad. The National Legislature comprises the Liberian Senate and the House of Representative. The Americas based Liberian journalists said while they acknowledge that there are some nationalists and people of impeccable characters in the legislature, there are also, legislators in that august body that have stained characters. ALJA said most of them have no moral rectitude; and it is time that they be voted out. The Association said the corrupt legislators are those that are fixated on the attainment of pecuniary gains at the expense of the country and its people. ALJA said the politically driven impeachment of former Associate Justice Ja'neh has grave implications on Liberia's prevailing peace and stability because the pseudo trial has driven a wedge amongst Liberians especially the Mandingos and officials of the Weah administration. ALJA observed “This is not what Liberians voted for more than a year ago”. ALJA maintained the Ja'neh impeachment trial has also, created a state of uncertainty amongst legal practitioners, especially judges in the judiciary in the dispensation of justice for the fear of being targeted by powerful politicians in the Weah government. The Association said it is unthinkable that President Weah and his cronies chose to charge and prosecute only former Associate Justice Ja'neh for “misconduct and gross breach of duty” in relationship to him granting a Writ of Prohibition petitioned by petroleum dealers in the country to stop the collection of levy/taxes of US$0.30 (Road Fund) imposed on the pump of petroleum products. Then the government claimed the former Associate Justice's action violated Article 43 of the 1986 Constitution of Liberia. However, ALJA quoting media reports maintained the former Associate Justice didn't act alone in the granting of the prohibition petition. The Association said all five Justices of the Supreme Court, including the Chief Justice, approved and signed the document decided by the government and oil companies involved in the case prior to the withdrawal of the matter from the Court. Although, ALJA stressed, some of Liberia's finest legal luminaries in honest assessments of the case prior to its conclusion advised the government to discontinue the trial because there was no legal basis for former Associate Ja'neh's removal from the Supreme Court bench, the Liberian Senate with the acquiescence of the executive branch of the Weah administration still proceeded with the illegal trial and his subsequent impeachment. ALJA says, the irony of the CDC administration's impeachment of the former Associate Justice's from the Supreme Court for reported misdeeds, is the government's indifference to the prosecution of Finance and Development Planning Minister, Samuel Tweah, and others linked to the misapplication of the US 25 million dollars put at their disposal by the government for the failed mop-up exercise. The Association said between July and October of 2018, the Weah administration as one of several strategies for the resuscitation of the ailing Liberian economy reportedly infused US 25 million dollars into the economy with the sole objective of purchasing excess Liberian dollar bank notes from the market, but the outcome of the mop-up exercise as determined by the recently released Presidential Investigation Team(PIT) and the US based Kroll Inc, a Division of Duff and Phelps' Scoping Reports, was appalling. Minister Tweah as Chairman of the Technical Economic Management Team (TEMT) reportedly supervised the failed exercise, which was reportedly marked by profound discrepancies. Meanwhile, ALJA is calling on President Weah and the CDC to stop the brazen favoritism and the selective justice in ensuring accountability in the public sector. The Association says the public shaming and punishment of former Associate Justice Ja'neh for alleged “abuse of discretion, granting a Writ of Prohibition” and other misconducts while on the Supreme Court bench, make it imperative for Minister Tweah and others associated with the unaccounted-for US 25 million dollars to face justice for alleged economic crime committed against the state. The Association says the prevailing culture of impunity, arrogance, favoritism, and social injustices in the Weah administration must come to an end because these are the same vices that laid the basis for the ended successive Liberian civil wars that claimed the precious lives of more than two hundred thousand people. Liberia's civil wars, which started on December 24, 1989, in Butuo, Nimba County lasted for 14 years. As a result of the crisis, thousands of Liberians were also, displaced in Africa and other parts of the world. Additionally, Millions of dollars' worth of properties were destroyed.